Hummingbird nest material with cage invites hummingbirds to nest in your yard. 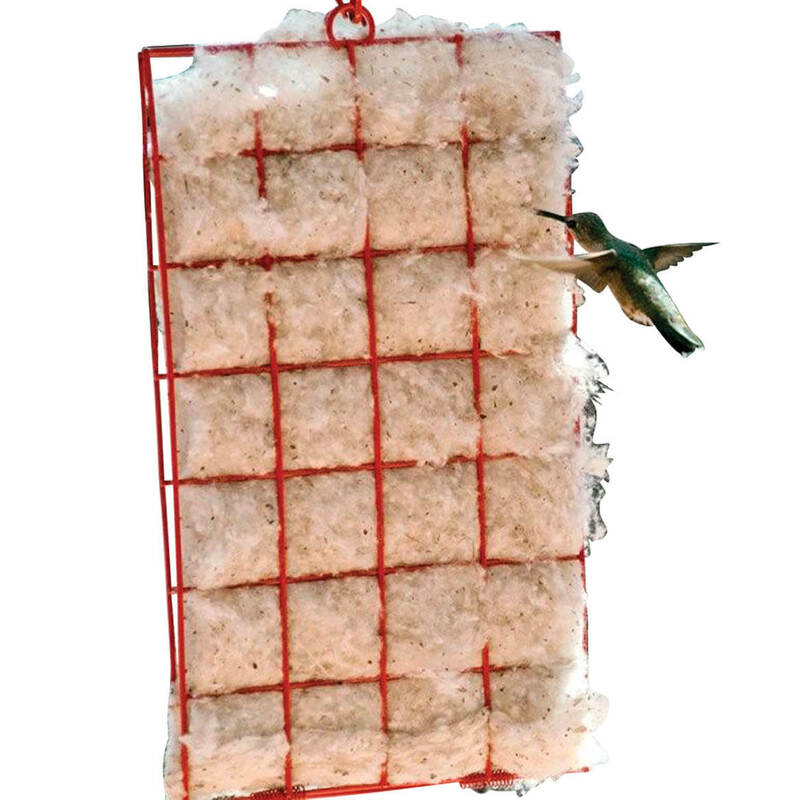 Hummingbird nest material provides the natural cotton fibers they love to line their nests with! Includes metal cage and chain hanger. 11″ long x 6″ wide. Hummers love bright flowers like the one on this hummingbird flower feeding stake, and its 13 feeding ports make it easy for them to eat, while plastic “petals” encourage them to perch and stay awhile. 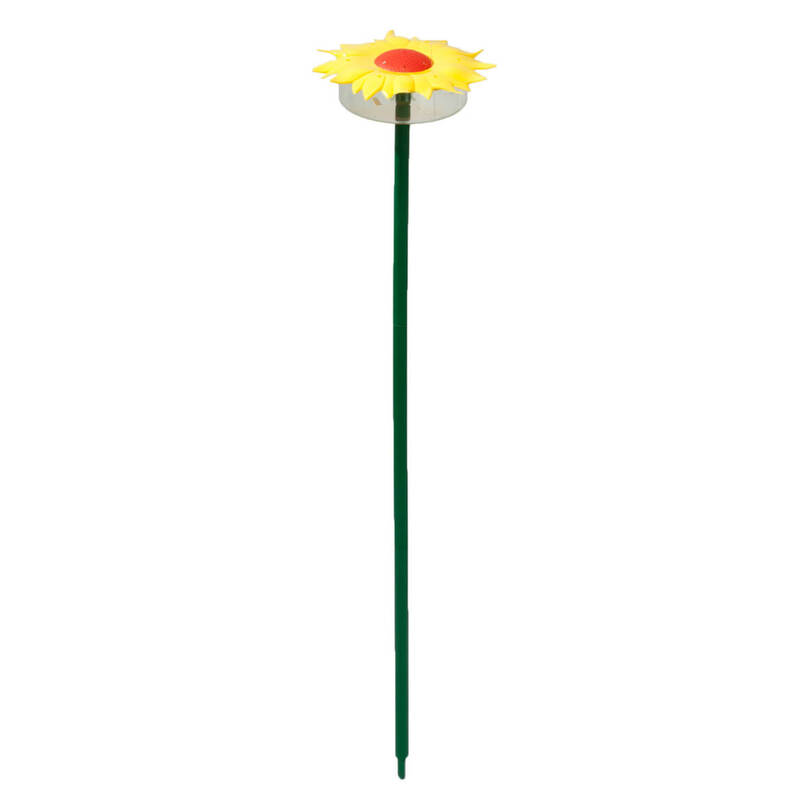 Enhancing your landscape in colorful style, the yellow nectar feeder stakes easily in the ground, and durable plastic construction withstands any weather. Simple to fill and clean, the hummingbird feeder’s reservoir holds 9 oz. 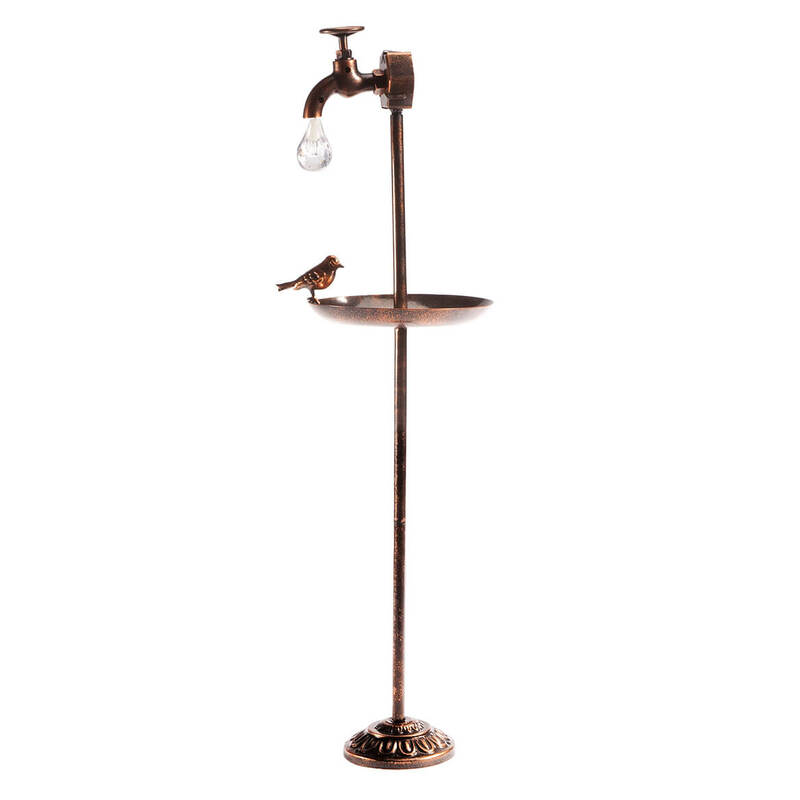 of nectar (not included); hand wash. Easy assembly; 28 1/2″ high with stake. 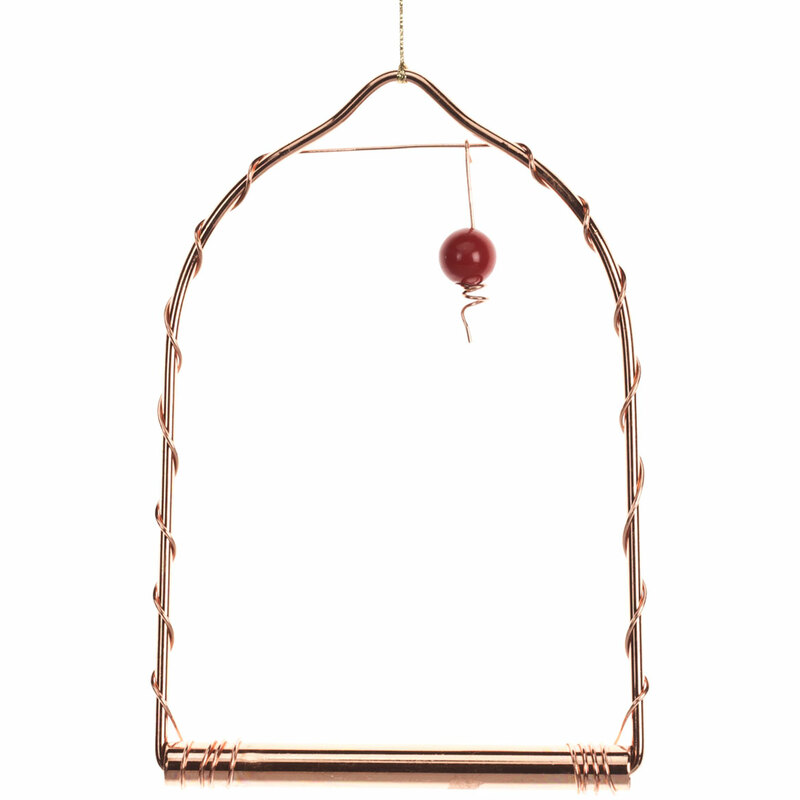 Lured in by its dangling red bead, hummingbirds will sit, sway and STAY on this shiny copper hummingbird swing! Territorial hummingbirds will use the decorative swing as a bird perch to guard their food source … so they’ll linger even longer when you hang it near a feeder or nectar-rich flowers. A simple, affordable way to welcome beautiful hummers to your yard, patio or balcony, the 5 1/2″ wide x 8 1/2″ high bird swing features wooden perch and loop for easy hanging. 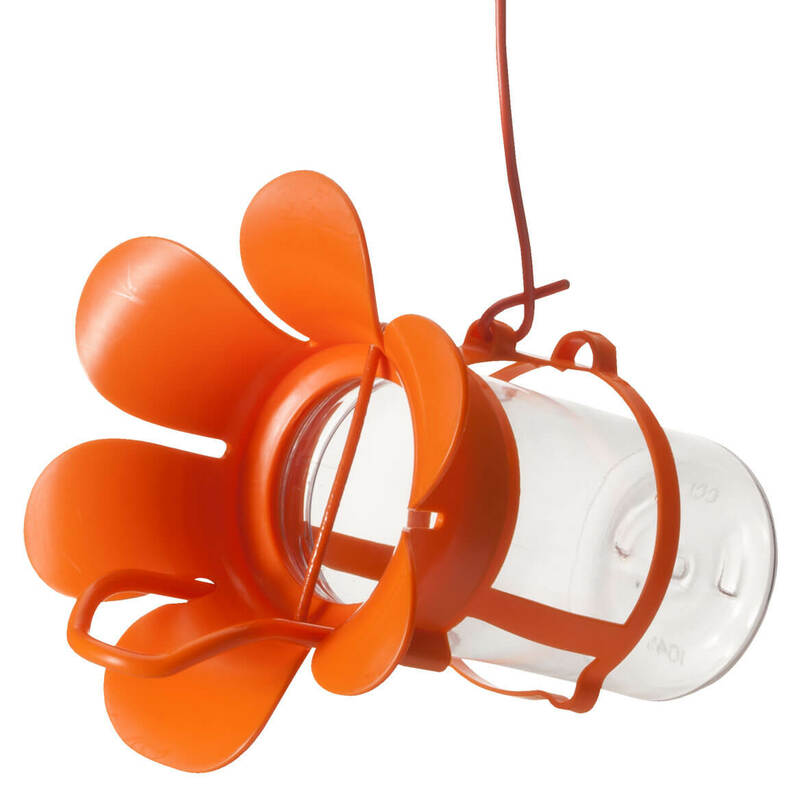 Simply attach a jar of jelly or jam to this Jelly Jam Feeder™ for neat, easy feeding of orioles and other birds! The fruit feeder’s bright color attracts a variety of feathered friends; sweet jelly or jam brings them back again and again. Plastic feeder includes built-in perch and safety bar to prevent birds from entering jar. 4 1/2″ wide x 6″ high; fits 10 or 12 oz. jelly or jam jar (not included). 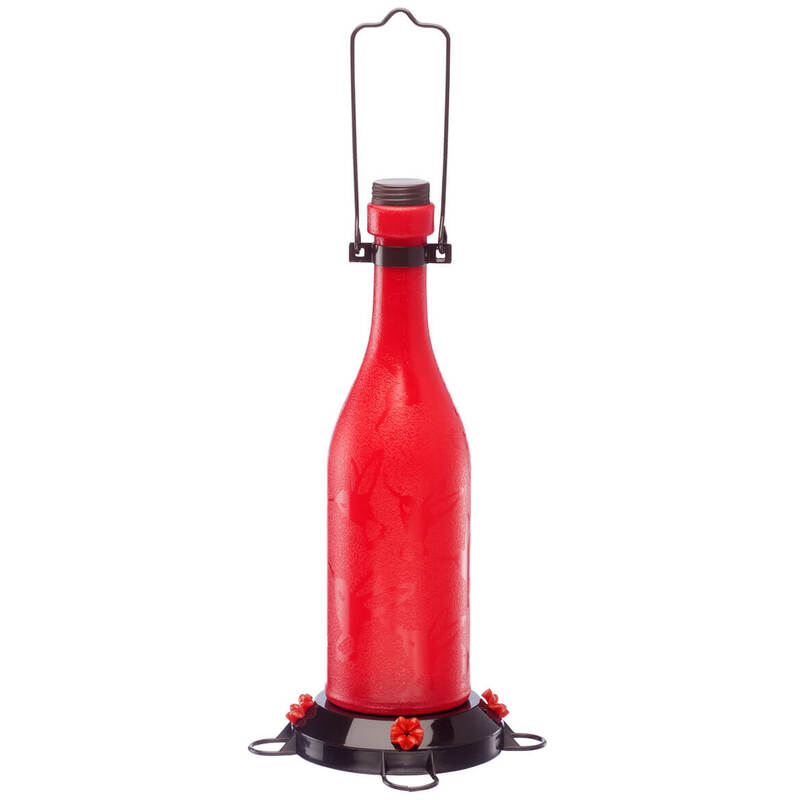 Attracting hummingbirds with its bright red color, this Plastic Wine Bottle Hummingbird Feeder enhances any outdoor setting—attracting compliments from admirers! Designed in durable, weatherproof plastic with a sturdy metal handle for hanging, the decorative wine bottle bird feeder features embossed hummingbird artwork. Its base includes 4 cute red flower feeding ports for hummers to perch and dine. The generous 16 3/4″ high x 7″ dia. feeder holds 40 oz., and includes a recipe for nectar solution and complete instructions. Hand wash. Features embossed hummingbird artwork; Base includes 4 cute red flower feeding ports for hummers to perch and dine; 16 3/4″ high x 7″ dia. ; holds 40 oz. ; Hand wash. This solar faucet with bird feeder’s “faux” waterdrop soaks up sunlight by day—automatically glowing like magic each night. The freestanding solar light features an LED bulb in the water drop and a tiny bird feeder, complete with a decorative bird for added charm. It includes an integrated solar panel to charge its battery each day—automatically activating the light at dusk, then turning it off at dawn. Simply place this solar bird bath in your yard or garden with solar panel exposed to sunlight, and add seed, food or water to the 7″ dia. plate to delight your feathered friends. Easy assembly. Iron, polypropylene. 9″ long x 7″ wide x 31″ high. This elegant ceramic teacup and saucer bird feeder adds a touch of charm to your yard or garden—inviting feathered friends to dine in style. 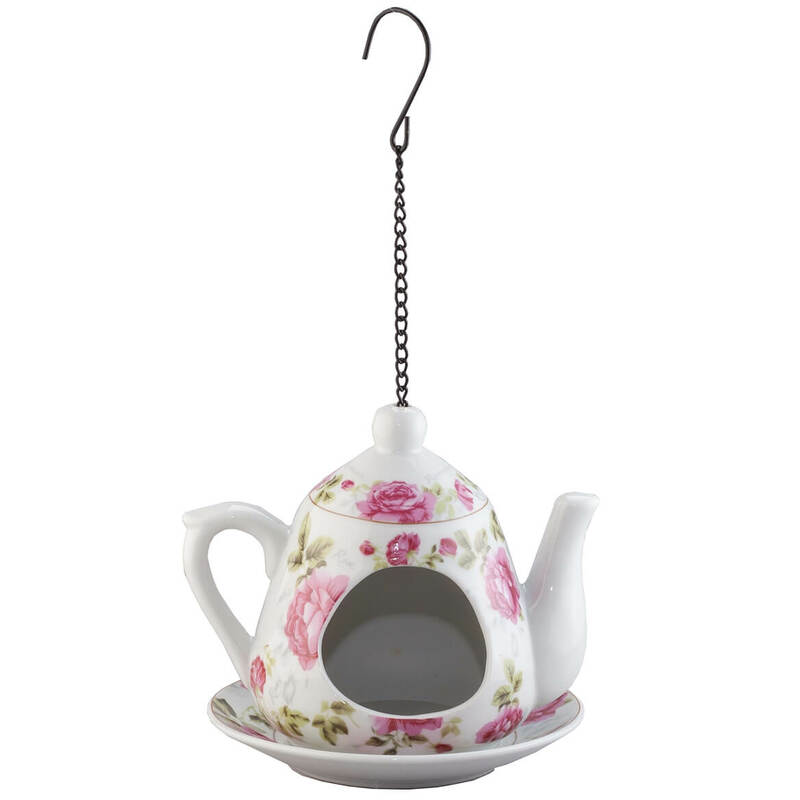 Beautifully crafted of shiny ceramic with a vintage rose print, the bird feeding station’s attached saucer gives birds room to perch while feeding. 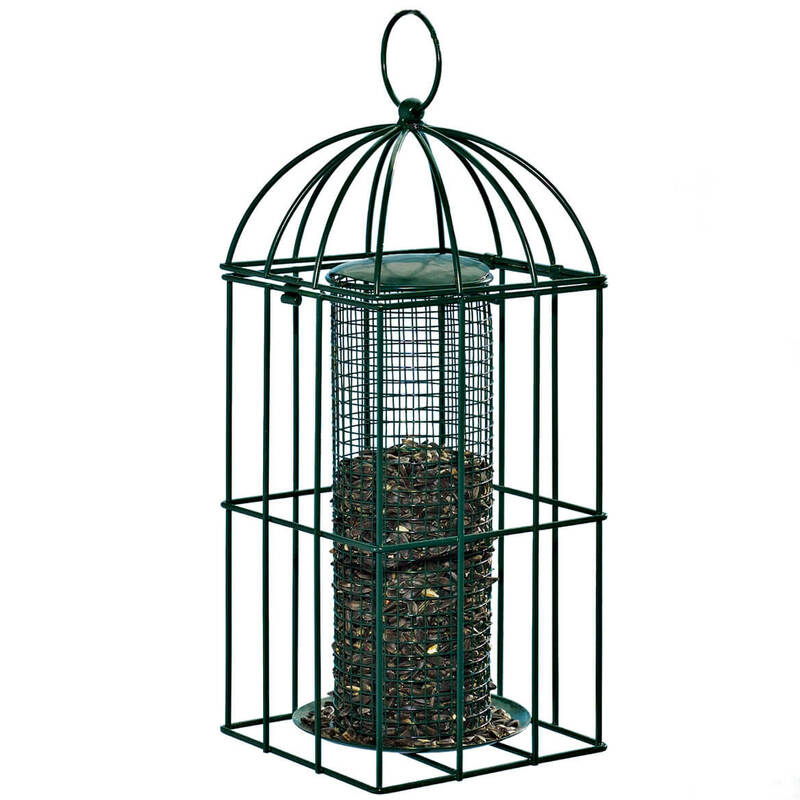 Complete with a sturdy steel hanging chain and hook, it’s perfect for your own backyard, and a thoughtful gift for any bird lover! Ceramic bird feeder measures 6″ wide x 3 1/2″ high; 12″ high with chain. Hand wash.
Victoria birdfeeder attracts colorful clinging and perching birds. Metal bird feeder is sturdy, with a protective outer guard that allows small birds to feed, while keeping unwanted animals out. Small drainage holes on bottom keep seed fresh and dry. 12″ high x 5 1/4″ sq. This pretty ceramic teapot birdfeeder offers fine dining for your feathered friends—adding a touch of elegance to your landscape or garden. 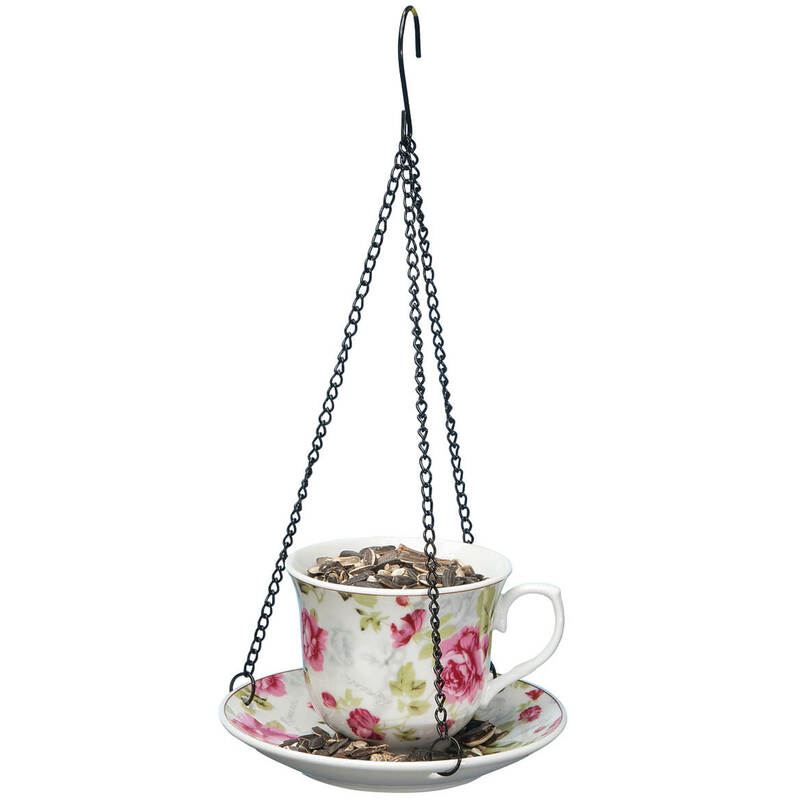 Graced with a charming rose print, the classic bird feeding station features an attached lid and saucer, plus metal chain with hanging hook for easy display. 7″ wide x 5 1/2″ high with 9 1/2″ long chain. Turn a lonely corner of your yard into a busy haven for wild birds with this easy-to-assemble feeding station. 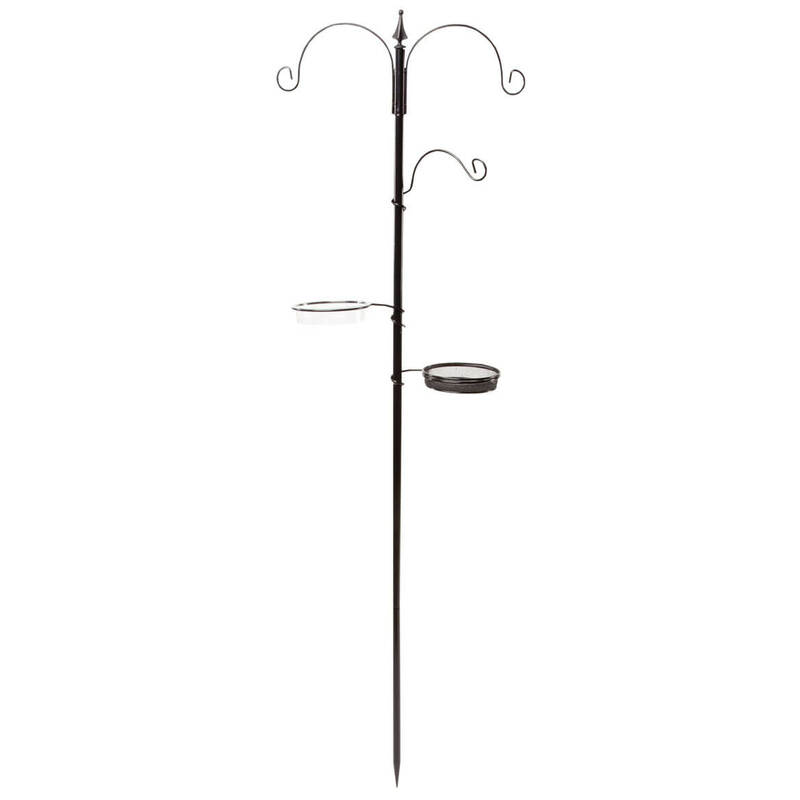 The heavy-duty metal pole features 3 feeder hooks, supporting ring with bird bath, 1 small feeder and 1 mesh seed tray. Stands 6 ft. 1 inch above ground. Black powder-coat finish. Add your own feeders.